These units can be used offline or in batch mode without computer at a remote location to capture the data. Various models are available dependency upon the application of the client these units are very light weight to handle and available at attractive and affordable prices. We are engaged in offering DOS Based Portable Terminal MPTIC6C to our clients. The offered terminal is a computerized device used in public transit vehicles, courier vehicles, taxicabs, etc. This terminal is manufactured at our well-equipped manufacturing unit using optimum grade components and cutting-edge technology in adherence to set industry norms. decoding, which is 10 times quicker than normal laser barcode scanner. When there is a temporary breakdown of wireless signal, the terminal allows temporary automatic data saving in the buffer memory, which can save up to 200 data. The saved data are automatically transmitted after recovery of wireless signal. PDT-6C can also scan and save first, then transmit all collected data (up to 30,000 barcode) to the base station wirelessly. The other mode is for inventory-taking which transmits barcode and quantity data to local data system. PDT-6C is with user-friendly keyboard and backlight LCD screen for easy operation and menu browsing. It also allows hand input for damaged or blurred barcode. - All in one solutions, to protect your investment and to minimize total cost of ownership (TCO). - The most rugged design & reliability, can affords multiple drop (impact) test upto 5ft/1.5m. 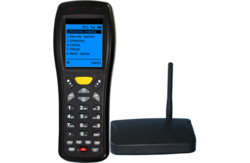 - It has integrated 3 scanning triggers keys which is facility to capture the barcode. 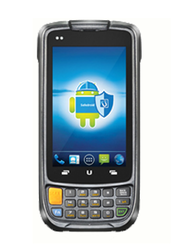 - It has 3.5G, barcode scanner, high resolution digital camera & GPS expanded device functionality. 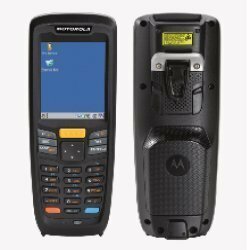 We are engaged in offering Batch / Wi-fi & Bluetooth Portable Terminal Motorola MC2 to our clients. Choose the scan engine that will deliver the best performance on the types of data you need to capture. The MC2100 offers more choices than any other device in its class a 1D linear image, a 1D laser or a 1D/2D area imager — and all three scan engines can capture damaged, dirty and scuffed bar codes on the first scan. With the integrated TEAM Express client,* you can enable group broadcast and private response PTT the day your devices arrive. And since TEAM Express is device agnostic you can easily create a voice communications web that connects workers with different Motorola mobile devices that work on different networks — including third party smartphones and Motorola two-way radios. The result? Superior collaboration.